It seems like everybody is talking about collagen these days, and for a good reason! To help you get up to speed on this hot anti-aging health and beauty trend, here’s what you need to know collagen… what it is, where it comes from, and most importantly –why it’s so vital for looking and feeling terrific! Collagen is a protein; the most abundant kind in the human body. In fact, different kinds of collagen molecules make up about one-third of the total protein in the human body. It is found all over, especially in the bones, skin, muscles, and tendons. You can think of collagen as the stuff that binds your entire body together. It forms a firm yet flexible foundation to provide structure as well as strength to the skeleton and surrounding tissue. It is the substance that connects cells and gives skin elasticity as well as strength. To get a sense of what collagen is, touch the area underneath your cheekbone. The substance just underneath the skin here is collagen. How does it feel when you press in on this area? Is it firm like it is on a child, or soft and squishy? The sad news is that as we age, we lose collagen. This is why this (and many other areas) get progressively softer as we get older and the skin on top starts to sag as there’s less collagen to hold it up. #1 – Strong Cartilage and Muscles. Cartilage is a type of connective tissue that is made up of collagen . Your nose, earlobes, and joints are vital points on your body that are made up of this tissue. When you lack collagen, joint instability, stiffness, and pain can result. Likewise, muscles need cartilage to adhere themselves to the ends of bones. This is why muscle aches are one of the most common complaints of individuals with low collagen levels. #2 – Healthy Teeth. Collagen is needed to keep teeth in place in the gums . Loose teeth, toothache, sensitive teeth, and even tooth loss can result from a lack of collagen overall. #3 – Thick Hair. Collagen plays an important part in hair growth since it fills in the spaces around each hair follicle. One way to tell if you are collagen deficient is to notice the quality and state of your hair. Dull, thin hair is a sign of low collagen levels. Collagen also helps fight free radicals that can damage hair. #4 – Smooth Skin. Wrinkling and cellulite are other unfortunate results of low collagen in the body. Not enough collagen means skin begins to lose elasticity and sag, causing those pesky wrinkles as we age. Cellulite is another telltale sign of low collagen. The special makeup of this protein helps keep skin taut around the frame. Lack of collagen causes the skin sometimes to pucker and become thin and weak, allowing liquid to build up under the skin’s surface which results in the appearance of cellulite. A 2015 Brazilian study  found that women who took collagen peptide supplements for six months had marked improvement in moderate cellulite conditions. #5 – Good Gut Health. Finally, the newest research on collagen is connecting it to the healthy functioning of the digestive system. This is why many protocols for “healing the gut” these days involve collagen supplementation through bone broth or powders. In a nutshell, collagen helps heal the gut because of its ability to “seal the gut.” Leaky gut has been linked to autoimmune conditions and neurological conditions like autism. There are two basic kinds of collagen. The first is endogenous collagen, which is naturally produced and synthesized by the body. The other is exogenous collagen comes from an outside source such as pills and powders in supplement form as well as directly from animal products, such as bone broths. 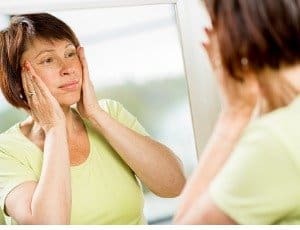 Unfortunately, it is part of the “normal” aging process that by the time we reach around 30, our natural, endogenous collagen production begins to wane. For most people who chose to eat the Standard American Diet (SAD) and live a sedentary yet stressed-out lifestyle, it pretty much goes downhill from there. As internally created collagen production lessens, the result is not only wrinkles and sagging skin, but also joint pain, aching muscles, blood pressure issues, digestive complications, and an increased susceptibility to many kinds of chronic disease. There is a light at the end of the tunnel, however. Before we go into the kinds of collagen that you can get from external sources, let’s first take a look at some natural ways to boost the effectiveness of your internal collagen production in your body. 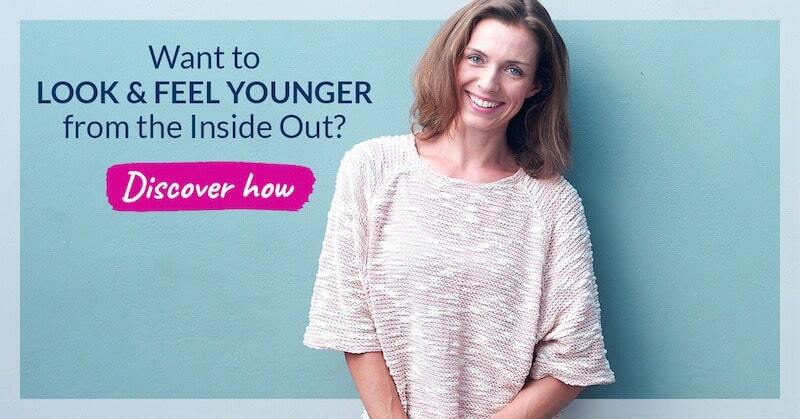 Yes, it is possible to increase your naturally occurring collagen levels, even as you age. As with any essential substance, it is always best to eat a diet and live a lifestyle that promotes the healthy synthesizing of your own natural healing and repair mechanisms. This goes for collagen production as well. Sometimes it is easier to remember what not to do than what to do when it comes to health. This is the case with collagen. There are two foundational and vital rules to remember as the very first steps to upping collagen production in your body. First of all, don’t overdo it when it comes to exposing yourself to UV radiation from the sun. Secondly, if you smoke cigarettes, quit now! There are also many whole foods which have collagen-boosting as part of their long list of benefits. Some of these include Aloe vera, ginseng, cilantro, and algae products like spirulina as well as foods that are high in vitamin C.
Keep in mind that collagen is a protein. This means it is made up of amino acids like arginine and glycine. Be sure you are eating a healthy, organic, whole foods diet that will allow you to replenish essential amino acids that form the building blocks for endogenous collagen production. Finally, you must manage your stress! Studies have shown that high-stress states maintained over the long term can raise homocysteine levels , which in turn may affect the way collagen fibrils link together. This ultimately results in potential bone weakening  and a greater risk of chronic disease. Last but certainly not least is the option of collagen supplementation. As both the medical and cosmetic benefits of collagen make their way into media outlets, new collagen products seem to pop up almost daily. Lotions, powders, gel pills, even gummy bears and collagen-infused beers  are making their way into the marketplace at a dizzying rate. If you are a meat eater, bone broth and beef roasts with a lot of connective tissue are great sources of collagen. If you are getting your collagen from meat products, it will actually come in the form of gelatin; this is what collagen turns into when it is cooked. For both bone broth and roast, it is important to cook them long enough to convert the collagen to edible gelatin. In the case of bone broth, it is also important to boil the bones long enough to completely extract all the minerals and marrow from them for added nutrients. Ensure that your broths and meat dishes are prepared using grass-fed, hormone-free, antibiotic-free meat for optimal benefits. Collagen supplements come in many forms, including bone broth powders and isolated collagen products such as collagen hydrolysate, hydrolyzed collagen, or collagen peptides. Whatever kind you try, there is definitely evidence that collagen supplementation works. A study conducted by Penn State University in 2008 found that athletes with joint paint who received collagen hydrolysate supplementation for 24 weeks had less joint pain than a control group, even when lifting weights . Regarding healthy skin, a 2017 Chinese in vivo study on mice found that collagen peptides from bovine bone “significantly improved the antioxidative enzyme activities in skin” after only eight weeks of supplementation . And finally, studies going back to the 1990s have correlated collagen supplementation with improvements in osteoarthritis. A 2009 study published in the International Journal of Medical Sciences found that arthritis pain dropped by an average of 26% for those who took collagen supplements . So what’s the bottom line? The hype around collagen’s beauty and health-enhancing virtues may be a passing fad in the fickle world of beauty. But the facts around the role these vital proteins play in how your body functions every day are sure to stand the test of time. New Clean Sourced Collagens from Organixx contains five types of collagen from four sources. What’s more, it’s combined with targeted nutrients such as zinc, vitamin C, and vitamin B6 which specifically enhance the bioavailability and potency of collagen. Clean Sourced Collagens is scientifically designed from the ground up to promote younger-looking skin, fewer aches and pains, and a healthier, more vibrant body. Click here to learn more. Collagen is a protein; the most abundant kind in the human body. There are more than a dozen kinds of collagen proteins, although most fall into types I, II, or III. Collagen molecules pack together in “fibrils,” which are long, thin fibrous formations. Clean Sourced Collagens from Organixx contains five types of collagen from four quality sources. Do you have to use beef to make good bone broth? I’m allergic to dairy and beef. Age, 67yrs. Young and appreciate all sound health information. Thanks for sharing, Jeral! We’re so happy to have you here with us! As a vegan I find this product is not for me. Yes I’m aging with wrinkles and sagging skin but looks cannot dictate what my heart says about taking the lives of innocent creatures for the purpose of physical health. Because of this I now am choosing to avoid all products created by Organixx. We are very sorry if you feel this way, Kathleen. Our team aims to cater to all customers with different dietary needs, whether they are vegans, vegetarians or those who consume meat. After all, Organixx believe in producing quality supplements for everyone who wants to be empowered organically, regardless of their diet and lifestyle. I hope you will take the time to visit our online store (https://shop.organixx.com) and learn more about our products that are not only vegan, but are also organic. Thank you for taking the time to let us know what your think, we appreciate it! I take Vital collagen peptides. Will your formula give me real results. Vital has not helped w skin, hair or muscle pain. What is different with Organixx? We understand your concern, Christy. We’d like to ask a few minutes of your time to read this excellent article we have that explains how our Clean Sourced Collagen was formulated and how it is different from other collagen products in the market: https://organixx.com/collagen-lf-v2/ . Let us know if you have more questions afterwards! Do you have any dealer i Sweden or do I have to order it from the US?? Hej Lasse, thank you for your interest with Organixx. You may contact our Customer Support Team online at https://support.organixx.com/submit_ticket or by calling 1 877-750-6455 for any of your shipping or purchasing concerns. You may reach us from Monday – Friday, 9 am – 5 pm Eastern Standard. We’d love to hear from you! Hi there I was just wondering if it is possible to get collagen from fish or oysters. We live on a remote island and have these in abundance. Hello Kim! Fish collagen are also called marine collagen. You may do your own research on how this will be beneficial for you, or consult with your primary care physician to help you determine whether this would be appropriate for your personal needs, and if so, what serving recommendation would be best suited for you. I am vegan….and it seems that collagen only can be sourced from animals…. Hi Valerie! You are correct that our Organixx Collagen is not vegan. We do, however, offer several other vegan products that you may be interested in trying. The following Organixx products are vegan: Multi Vita Maxx, Turmeric 3D, 7M+, OrganiGreens, E-Plexx, T-Plexx, Meta-Plexx, Detoxx, Magi-Complexx, Iodine, and all of our Essential Oils. I AM VEGAN……CAN COLLAGEN ONLY BE SOURCED FRO ANIMALS? THINK I NEED SOME, SO WHAT DO YOU SUGGEST I DO? CAN’T CONSUME CHICKEN, DO YOU HAVE A BEEF BONE BROTH ? Hello Baerbel, our Clean Sourced Collagens bottle has a net weight of 255 g. With a serving size suggestion of 1 scoop per day, one container can last up to 30 days. Thank you for reaching out to us! I nearly finished my first bottle of Clean Sourced Collagens as of Dec. 25. The first scoop was on Nov. 30. I have about 2 scoops left. So the total number of scoops would be 28. In order to make it to last 30 scoops, I probably need to lighten up a tiny little bit on each scoop, instead of making each scoop flush with the edge of the measuring cup, probably about 3/32 of an inch less for each scoop. But I noticed some improvement for my toe nails. They used to grow unevenly and thicken at the edge of the toes. Now the nails are pretty smooth. I need to wait another month for a confirmation of the nails’ condition. I forgot to take note of my toe nails on the first day of taking Clean Sourced Collagens, whether they were still uneven on that day. (I also take chlorella supplements daily since April this year. The chlorella supplement might have helped too.) I also noticed I have less hair coming out when I take a shower after taking Clean Sourced Collagens. Thank you for sharing your experience in using the Clean Sourced Collagens, CL! We loved hearing about your tip and the health changes that you have noticed after taking the supplement. We are excited to learn about its effects on your nails! HI . THANKS SO MUCH FOR THE , VERY INTERESTING READING . THANK YOU SO MUCH FOR YOUR CONCERN AND YOUR KINDNESS . GOD BLESS YOU AND ALL YOUR FAMILY .REGARDS LEOPOLDINA . You’re welcome, Leopoldine. We’re happy to know that you found this post interesting! Any chance this might ever be available in capsule form? I have a real hard time eating and drinking supplements. Thanks for the kind words, Jordan! I am in my early 60’s and take collagen form another distributor (Type I and II). Do you have an idea of how long it will take to see results in hair and cartilage? Hi Carol. Unfortunately, we cannot comment on the effects or benefits of the other brand’s products. Please let us know if you have questions regarding our Clean Sourced Collagens.